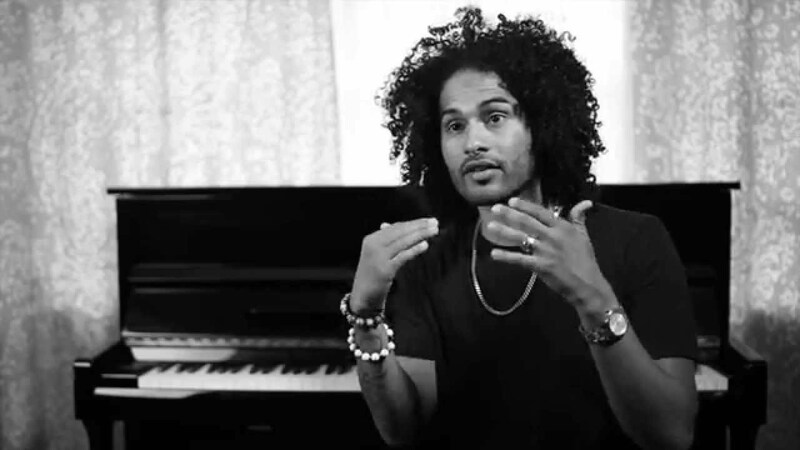 Manwell Reyes is an American music artist, singer, rapper, and songwriter; famous for being the lead vocalist of the notable Christian gospel music group known as the Group 1 Crew. The Group was formed in 2003 and they released their first hit song titled Can’t Go On in 2007. Since then, they have released four more studio albums to date. Interestingly, Manwell isn’t just the lead singer of the group; he is also the group’s CEO. In addition to his music career, he is also an actor and has starred on TV series such as Moms Night Out and The Collective, just to mention a few. Learn more about Manwell Reyes below. The multi-talented star was born as Jose Manwell Reyes in Germany to a German father and an American mother. His father was an army officer and he has an older brother. Not long after his birth, his parents got divorced which led his mother to take him and his elder brother back to the United States. He grew up in Florida, United States where he completed his basic education. While he was growing up, Manwell was a very stubborn child and was kicked out of high school courtesy of his mischievous tendencies. His life began to take a different dimension when he encountered God. The encounter made young Manwell change his ways; thus working diligently to become a better person to the society. Subsequently, he enrolled at a Bible College in Florida and while he was there; he participated in different shows organized by his school including musical shows and Summer Camps. During one of their summer camps, Manwell performed in the midst of the huge crowd; his soul touching song garnered a lot of applause from many people. From then onwards, Reyes began to work on his music career and later formed a Christian music group along with his few friends – Pablo Villatoro and Bianca Callahan. Upon graduation from college, Manwell Reyes and his fellow group members adopted the name Group 1 Crew in 2003. They launched their first EP titled I Have a Dream in 2006; followed by their hit track titled Can’t Go On as well as their self-titled debut album which was released in 2007. After the release, one of their songs titled Love is a Beautiful Thing reached Top 20 in the R&R Magazine’s Christian music chart. The following year, they released their second album called Ordinary Dreamers in September 2008. The Group 1 Crew went on to release two more albums Outta Space Love in September 2010 and Fearless in 2012. In 2013, some of the members of the band including the lead vocals Blanca Callahan and the percussionist Ben Callahan left the group. Between 2012 and 2015, the group underwent reformation and some new members including Brian (drummer), Loren Clark (bass), Lance Herring (guitars) and Sara Sandoz (vocals and raps) joined the group. Also, Manwell became the lead vocalist for the group. He underwent a surgery to repair his vocal chords and after his recovery, the group launched yet a fascinating album Power in 2016. The album garnered much popularity and also recorded commercial success. In 2017, Manwell Reyes announced he would be putting music aside so he could focus on his other endeavors. Manwell Reyes’ personal life is a very interesting one; the singer is happily married to a famous American comedian named Anjelah Johnson. She was born in San Jose California on May 14, 1982. While she was growing, she was an NFL cheerleader and in 2005, she went to Los Angeles, where she began her comedy career. Since 2007, she has been featuring on different comedy shows on MADtv. She has released three stand-up comedy specials and her third titled Not Fancy was released on Netflix in 2015. The lovebirds met themselves several years ago and seeing the chemistry they shared, they decided to kick off their relationship. After a few years of successful relationship, the perfect couple exchanged their marital vows in Half Moon Bay, California. Their wedding took place on June 11, 2011. They have been living a happily married life for over seven years and divorce doesn’t exist as far as they are concerned. They don’t have any kids yet but might have plans of having them in the near future. 3. The group has launched five music albums, 7 EPs, and 18 singles. 4. Their songs have won five GMA Dove Awards out of ten nominations. 5. Manwell Reyes has starred on popular television series including Moms Night Out, Restored Me and Collective. 6. He is married to the famous American comedian Anjelah Johnson.